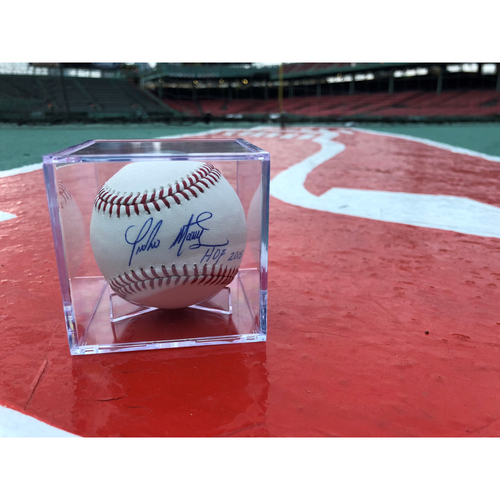 A baseball autographed by Red Sox pitcher and MLB Hall of Famer, Pedro Martinez. The baseball is inscribed "HOF 2015" and was signed in 2015 at Fenway Park shortly following Martinez's induction into the Hall of Fame. This item is not MLB authenticated.